One of my besties at work gave me these number punchers. 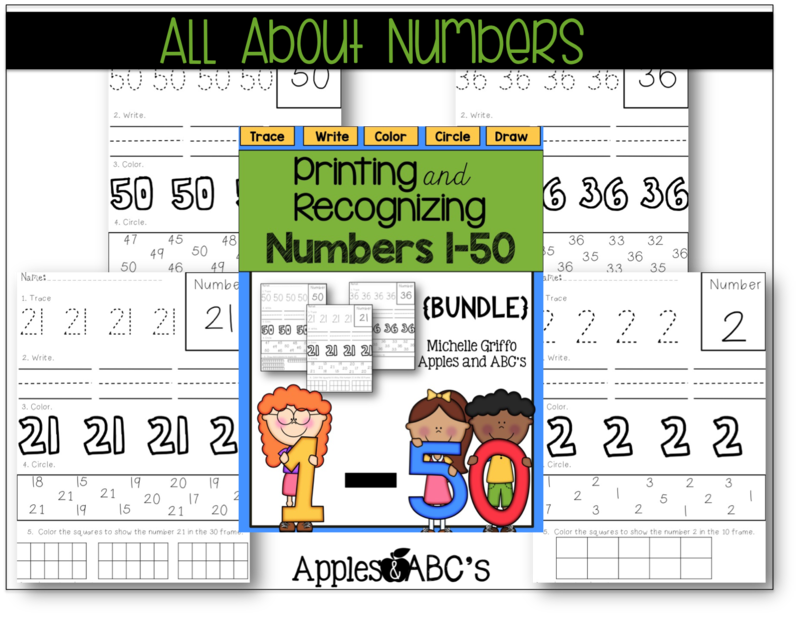 My aide and I thought it would be great to have the kids practice punching the numbers in order on a strip of paper, during math centers. At first, we were just letting them punch the numbers out, but it was more academic to have them punch the numbers in order. 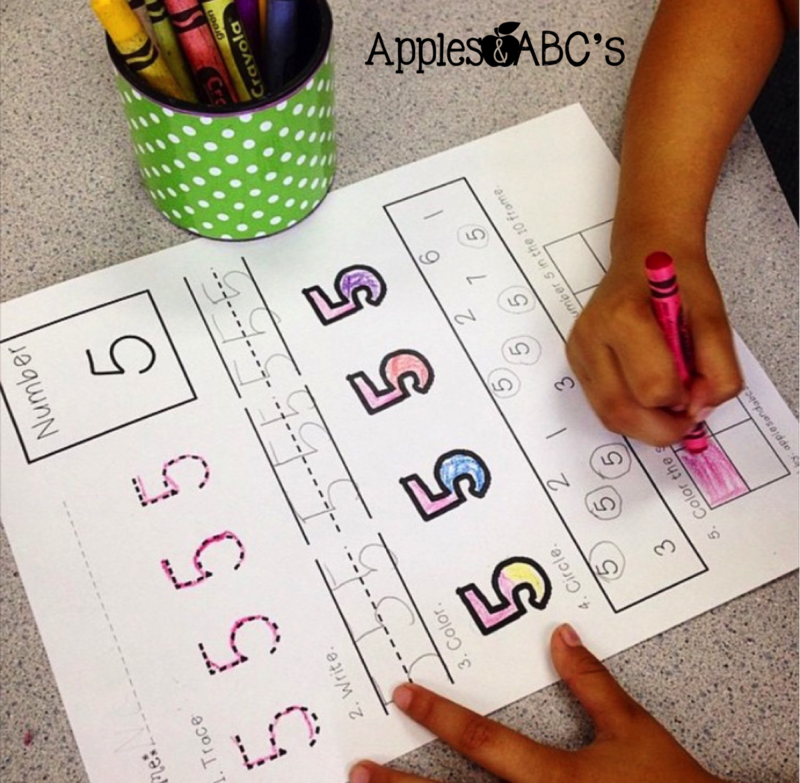 This activity helped us noticed counting and fine motor skills. Some kids had extreme difficulty punching the numbers, so now I can work with them in smaller groups to strengthen their hands. The students worked quietly when punching the numbers on their strips of paper, and worked well together to share! This would be a great activity for the beginning of the year, or even to have the numbers written above, and they a have to punch the number below. Once the students practiced punching the numbers, they were able to work on writing and reading numbers. 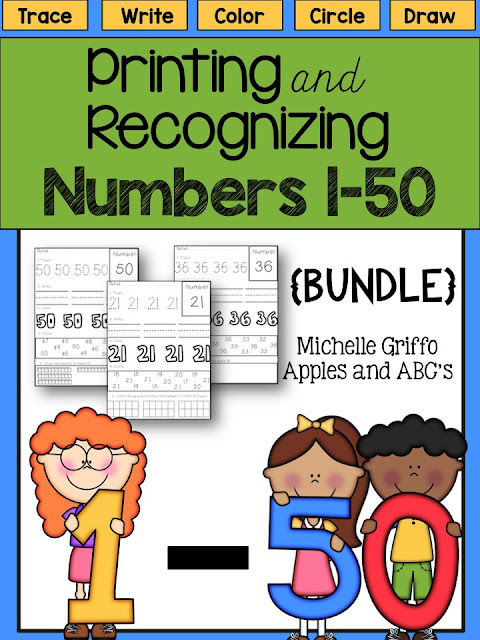 I used printables from Printing and Recognizing Numbers 1-50. The students love these number printables because they are repatitive and they can feel confident while being independent, because they know what is required of them. Do you know where she got the punches? What a fun way to practice number order!